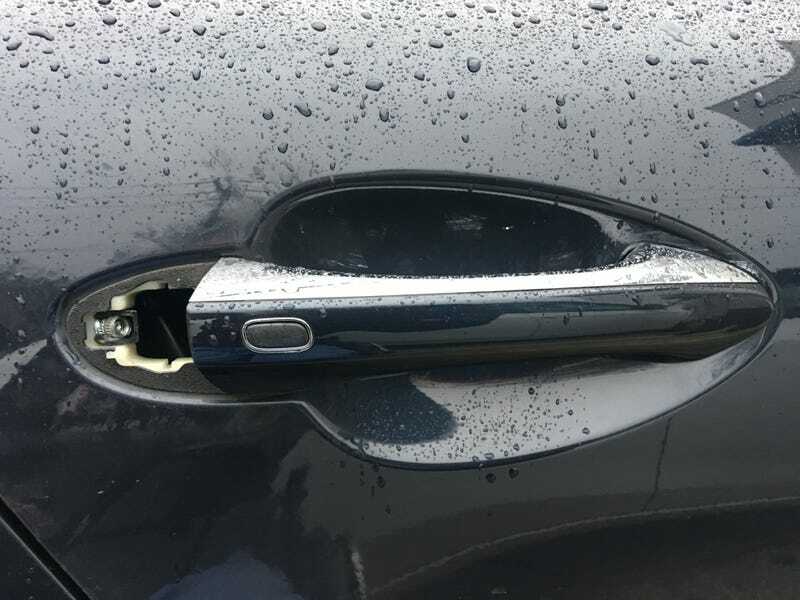 This piece of my passenger rear door handle broke off over the holiday sometime in the week after Christmas. I didn’t notice when because I don’t go to that side a lot. My nephew brought it to my attention at laser tag. Yesterday I went to the dealer to show them and order a new part. He says it will be $60, but he’s not sure if it will have to be painted on top of that. The thing is that this is not a piece that pops off easily. It’s bolted in and had to be broken off. I never hit anything. I have no idea how this happened. Also, saw this in the service bays. A Hyundai with KDM Kia badge. The service guy looked at me funny for taking a pic of it. There was a yellow stinger two bays over two.